Videos Not Pure White or Pure Black? I’m having trouble finding an authoritative answer to this question: Will video embedded in PowerPoint 2010 play in PowerPoint 2007? In PowerPoint 2003? Will viewers have to have PowerPoint 2007 with Service Pack 2? 1. 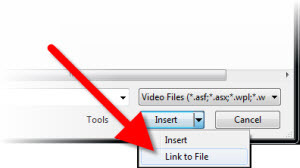 Video will embed in PPT 2010 so only a single file is needed. 2. Embedded video will play in PPT 2007 – but there are some exceptions. 2a. PPT 2007 must have Service Pack 2 installed. 2b. PPT 2003 must have Service Pack 3 installed. 2c. Videos with style treatments applied (eg. bevel, cropping, reflection) will play without the treatments. 2d. 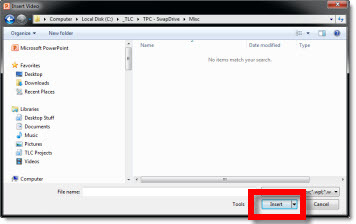 If videos have not been converted to .wmv by PPT, the CODEC must be installed on viewing computer. 2e. and many other exceptions – but in general they all work! Note: I am in the process of writing a blog post series on videos, which should be out end of this month and covering lots of real-world scenarios for videos in PowerPoint.